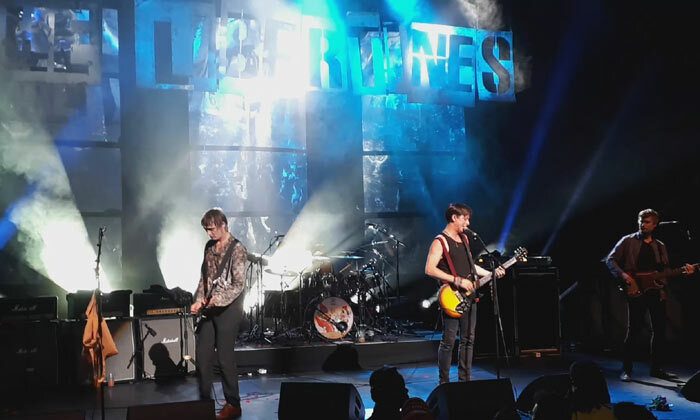 Fact: Rockers The Libertines thrilled fans by unveiling a new song during their performance at Scotland's T In The Park festival on Saturday night (11Jul15). 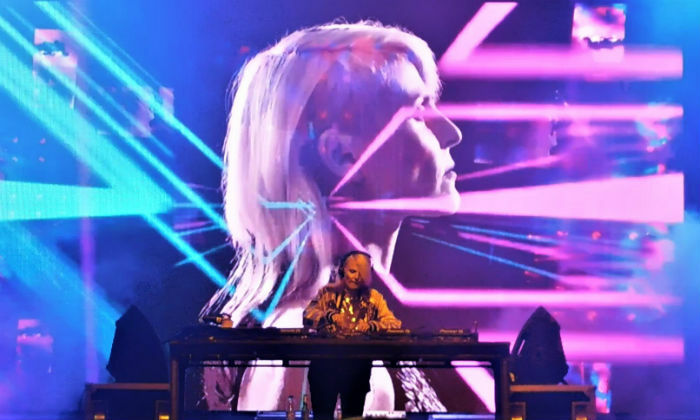 The band has not played the event since 2004, and they marked their return to the stage by debuting new song Fame and Fortune, from their upcoming album Anthems For Doomed Youth. 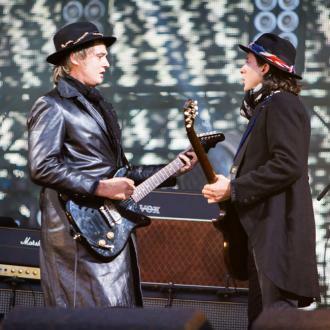 The set also featured a bizarre incident when co-frontman Pete Doherty took the band offstage for several minutes for a "pep talk" before returning to complete their performance. Fact: British rockers The Libertines will headline this summer's (15) T In The Park festival in Scotland, marking the event's first year at a new venue in the grounds of Strathallan Castle in Perthshire. Fact: The Libertines star Pete Doherty has debuted his Amy Winehouse tribute track, Flags of the Old Regime. Proceeds from the song, which features the line, "I don't wanna die anymore/Any more than I did wanna die before", will benefit the Amy Winehouse Foundation. The song will be available to download in March (15). Winehouse died in 2011, aged 27. Fact: British rockers The Libertines are extending their comeback to Europe by announcing a series of shows following their reunion at the British Summer Time Hyde Park event in London on 5 July (14). They will later play at the Benicassim festival in Spain as well as dates in France, Holland, Belgium and Germany through until October (14). Fact: Cult rockers The Libertines will continue their comeback with a headlining set at the Benicassim music festival in Spain on 19 July (14). The band have already confirmed they will reunite for the first time in four years at the British Summer Time Hyde Park event in London on 5 July (14). Quote: "Keep the 5th July free." 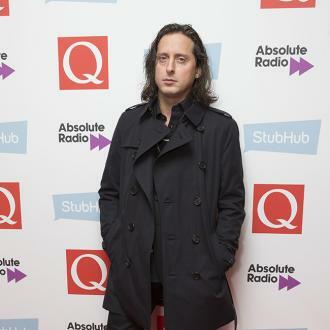 Rocker Carl Barat fuels rumours The Libertines will reunite for a special gig in London's Hyde Park this summer (14). The profile picture on the group's Facebook.com page has also been changed to a map of the London park. The group split in 2004. Fact: Former The Libertines and Dirty Pretty Things rocker Carl Barat has received more than 1,000 applications from hopeful musicians eager to join his new band. The guitarist posted an advert for a drummer, bassist and guitarist on his website earlier this year (14) and he has been inundated with requests. Fact: British rocker Carl Barat has joined new band Eyes On Film. 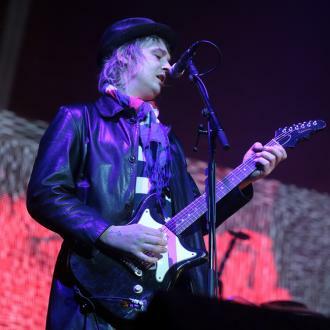 The Libertines star will make his live debut with the group at a gig in London on 16 August (12). Fact: British rocker Carl Barat is to play a low-key gig in a tiny London pub for 50 competition winners. 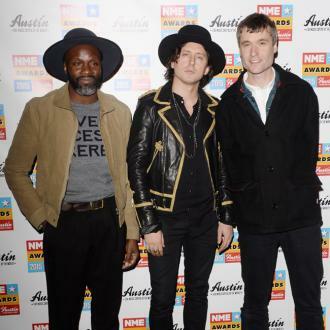 The Libertines star is giving away 25 pairs of tickets to winners of an email raffle. The show will take place at an undisclosed bar on Monday (21Mar11). Quote: "I collect items from the Spanish Civil War - flags and patches and so on... I get them out when I'm drunk and show people. I've also got a big mug collection." The Libertines star Carl Barat on what he hoards. Quote: "How will I spend Christmas? Well, I'm having a baby so I don't know. Maybe we'll end up spending it in a manger. Or a maternity ward. She's due around Christmas Day. I'll probably be in a maternity ward..." The Libertines rocker Carl Barat is set for a very special Christmas - his girlfriend's about to give birth to their first baby. Quote: "I was outside a venue in L.A. and three girls said, 'Can you write Libertine on our arms, so we can get them tattooed?' After the gig, they were outside with their dad - who was really angry." The Libertines rocker Carl Barat is always happy to please his fans. Fact: Rapper Tinie Tempah is following in the footsteps of singer Will Young and Libertines rocker Carl Barat by making a speech at England's prestigious Oxford University. The star will talk to students on Sunday (31Oct10) about his rise to fame. Quote: "It's fine! I mean, Jesus, did The Libertines ever rehearse? Honestly, it'll be fine and dandy." 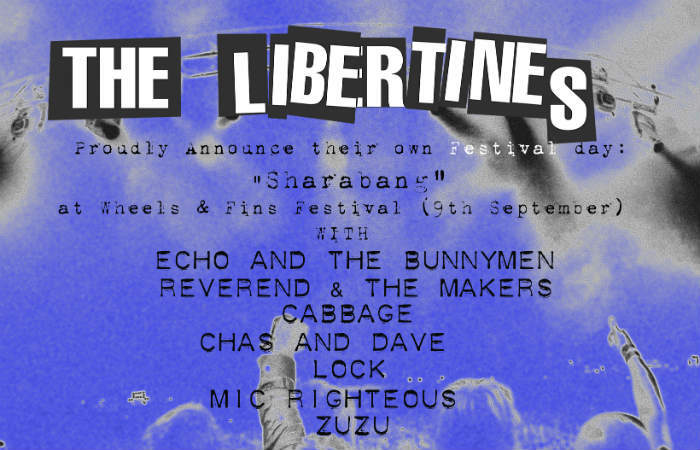 THE LIBERTINES rocker Carl Barat is confident the reformed band's lack of rehearsal time will not affect their comeback shows later this month (Aug10). Fact: Pete Doherty's reformed Libertines are set to become film stars - the band is planning to turn its rehearsals for upcoming festival appearances into a documentary. Filming begins later this month (Aug10) as the group prepares to perform at the Leeds and Reading festivals in England. Fact: Libertines rocker Carl Barat is heading to England's prestigious Oxford University to take part in a panel discussion on 27 April (10). The guitarist will be joined by Reverend And The Makers' Jon MCClure and Babyshambles' Drew MCConnell for a debate in the Oxford Union. Quote: "Any addict will tell you that every day is like a running battle. But the Tai Chi is great for me. It's all about balance and serenity." Troubled Libertines star Pete Doherty has a newfound passion for the ancient martial art. Fact: Former Libertines star Carl Barat plans to shoot a movie with Reverend and The Makers singer JON MCCLURE. Barat will act in the film, while MCClure will direct. Quote: "My heart caved in. I was destroyed. Not by the fall-out, but by seeing him (on TV performing) without me. Whatever happened, I would never, ever do a gig without him and call myself The Libertines." British rocker Pete Doherty is still angry with his former bandmate Carl Barat for his decision to continue their band without him after he was kicked out for drug abuse. Quote: "I'd love to do it. We haven't got a date yet but it will happen if Pete stays on his current trajectory. He's very keen." Rocker Carl Barat is hoping Pete Doherty can wean himself off drugs so they can stage a Libertines reunion. Quote: "Well, it's going to happen. It's unfinished business, isn't it?" 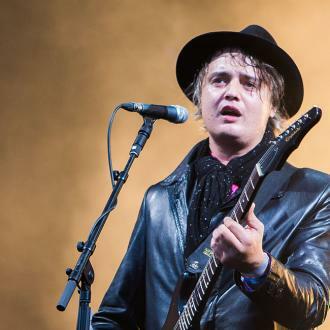 British rocker Pete Doherty is determined The Libertines reunion will go ahead. Quote: "I've had enough of democracy and sharing - I want to be a selfish b**tard for a while!" Former The Libertines and Dirty Pretty Things rocker CARL BARAT on why he is launching a solo career. Fact: Disbanding British rockers Dirty Pretty Things are making their final gig a charitable one - the band, fronted by former Libertines star CARL BARAT, will headline the Jail Guitar Doors/Real Fits concert at the Hackney Round Chapel in London on 11 December (08). Barat announced their plans to split earlier this month (Oct08). Quote: "I like the glamorous indie rock look, like The Libertines. But you know, without the heroin needle sticking out of my arm." GOSSIP GIRL star Ed Westwick on his sense of style. Quote: "For me and PETE (DOHERTY) it was all or nothing. It was either the top of the world or the bottom of the canal. It wasn't too different from falling madly in love; when you don't even entertain the thought that it could ever end." Dirty Pretty Things frontman CARL BARAT on the highs and lows of his relationship with former The Libertines co-star Pete Doherty.